Dandelions may be known today as a weed, but Dandelion Root Tea dates back hundreds of years, and makes for a widely respected herbal infusion. Although dandelion root and dandelion leaf are part of the same flowering plant, Taraxacum officinale, and deemed by gardeners as a total nuisance, the truth is that this wish-granting so-called weed is one not to be thrown away. 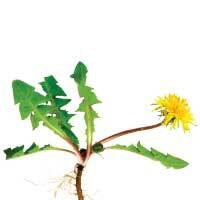 Dandelions are a member of the Asteraceae family, and native to Europe, Asia, and North America. Incredibly, some botanists have divided dandelions as a species into as many as 2000 microspecies, with about 235 having been recorded in Great Britain and Ireland. So, with dandelions being so prevalent across the globe, and knowing all parts are also delightfully edible, it’s a good to know how nutrient-dense they are. Though the dandelion leaf is often prepared either in a salad mix, or sautéed, the dandelion root is usually powdered, sometimes roasted, and used as a substitute for coffee, or, in this case, as a delightfully smooth, healing tea. And, though both the leaf and the root are well known to assist with sweeping the liver clean, dandelion root has become more popular as a digestive aid. Dandelion Root is currently being used to increase appetite, and increase the functionality of the gall bladder and the liver. As a medicinal plant, dandelion has been used for thousands of years, and history reports its use in treating a variety of mild to severe conditions. Dandelion root is loaded with vitamins and minerals, most especially vitamins A, C, and K. Some incredibly important benefits are dandelion root-specific, and Buddha Teas Dandelion Root Tea is a super easy, nurturing way to enjoy. Fortunately for the avid tea drinker, buying in bulk through our website saves you money. With our frequent coupon code offers and free shipping on every order of $50 or more, buying multiple boxes makes your tea-drinking needs much more affordable and convenient. Dandelion root tea benefits may have inspired you to pick up a box or a whole bulk order. However, a desire for variety may lead you to seek additional teas you can alternate with dandelion leaf. Chamomile tea has a delicious flavor and is refreshingly caffeine-free. Both chamomile and dandelion are sweet with a touch of honey, so incorporate them into your diet to provide enrichment into your diet and your lifestyle. Review Title: dandelion root tea. This tea worked wonders for me! I lost 35 pounds of water weight in 14 days! My edema has all but disappeared. I highly recommend this tea. Such a great flavor and I really enjoy drinking this tea. Quality product for sure! Very good product! My husband has L-failure and the Dr. 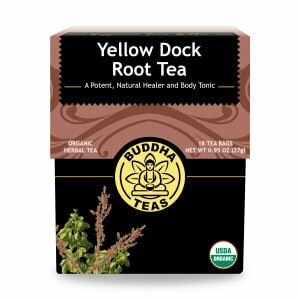 Recommend this tea to help detox. It’s been a challenge for my to find a dandelion root tea that was pure dandelion roots; no hibiscus or cinnamon or anything! But this buddha tea does! It has a very light + floral taste that’s not too overpowering. But if steeped for longer 7mins +, the flavor becomes more robust. I will happily continue to order + sip on this! Soothing flavor & mellow taste. Works as diuretic after 3 cups -- for me. Glad I discovered this brand -- very high quality. This tea has a pleasing aroma and a soft, subtle taste. It's a great caffeine free alternative, but I drink for the health benefits. It has not affected my bowels, but I've never had more than 2 cups at a time. Tea has great flavor, glad I found this company I have yet to be disappointed! Absolutely love this tea. On my 2nd box. Great flavor tea.